Dirt and bacteria builds up in your carpets in a surprisingly short space of time, this can cause damage as well as spoiling the appearance of your home, not to mention allergies. Green Gecko recommend that your carpets be cleaned every 12 to 18 months. With regular cleaning and maintenance your carpets and the environment will remain clean, healthy and fresh, transforming the appearance of your entire home. "We went to the Terrace today following your work, what an amazing job you did!" "“Hi Tris, thanks so much for the upholstery clean, it looks terrific!” "
"Just a huge thank you for a superb job on my carpet and rug, I'm now sitting here enjoying the benefits! I feel like I have my new home back again! Wonderful results, many thanks. " "I just wanted to say a "Big Thank You" for a great carpet clean at Trezela House today. Our carpets are gleaming and smelling fresh once again! " "Thank you! - We were impressed by the brilliant job that you have done!" "Friendly and professional service and a good price. Cleaned my carpets to a very high standard, eco friendly is a bonus. Would recommend for a fast, friendly and professional service." "Fast set up, no disruptions to our customers, great results at an affordable price. Thank you for a job well done!" "Thank you for doing such a good job, we are over the moon, such a hassle free professional job"
"Thanks sooooo much Green Gecko....my scruffy stained cream sofas are looking brilliant! 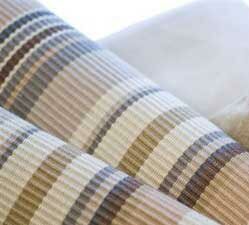 and not forgetting the rugs and bedroom carpets ......the rug is like new. Thanks again"
"Thanks green gecko:) my front room carpet looks like new again..... Another superb job! " Sarah Hargreaves, Landlady at The Bridge on Wool public house, Wadebridge. "Thank you for providing an excellent service when cleaning our carpets. 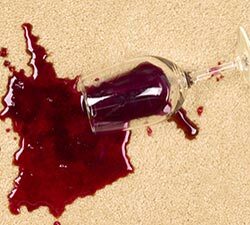 Our carpets now look spotless.We'll definitely come back to you." "Just got in and am AMAZED at how clean and fresh the carpetlooks! Thanks so much, now we can let Isaac crawl away to his heart's content. Sorry I missed you, but what a lovely surprise upon my return! "